Cost: $65,000 – Congressional appropriations of $30,000, and $35,000 from the Army of the Cumberland. 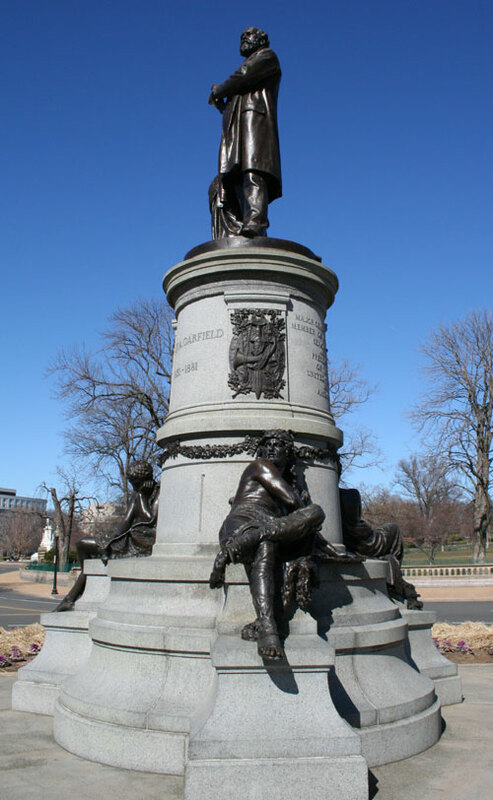 The Garfield Statue was funded, approved and dedicated in 6 years – one of the quickest turnarounds for a statue in DC. The reason was mainly due to the determination of the Society of the Army of the Cumberland. 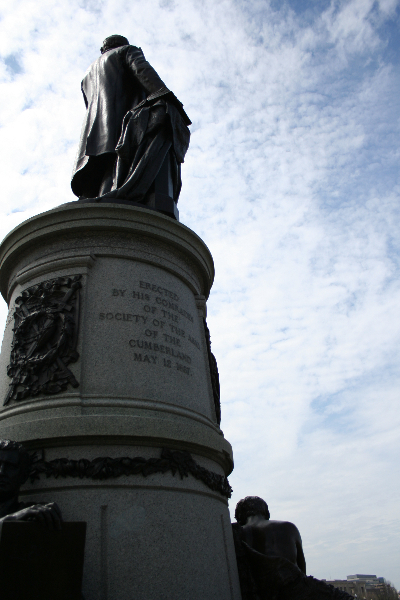 In 1883 funds were raised through the Army of the Cumberland for the statue and Congressional appropriations of $30,000 were approved in 1884. President James Garfield only served six months in the presidency. He was assassinated by Charles Gautieu, in 1881. Prior to the presidency he had served in the Civil War. Garfield commanded the 42nd Ohio Volunteer Infantry, and later served as Chief of Staff for the commander of the Army of the Cumberland. 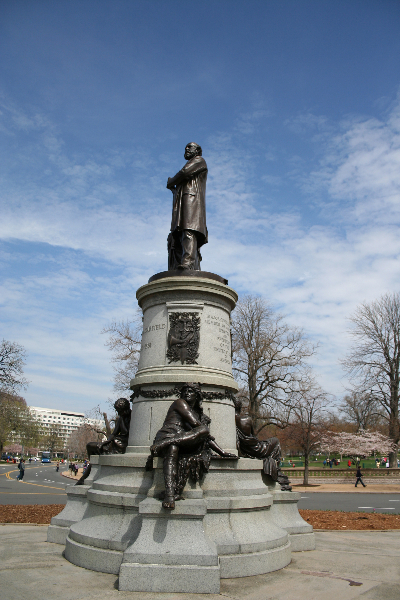 The original location for the statue was to be in Iowa circle at the intersection of Vermont and Rhode Island Avenues, and P and 13th Streets – now known as Logan Circle. The sculptor J.Q.A. 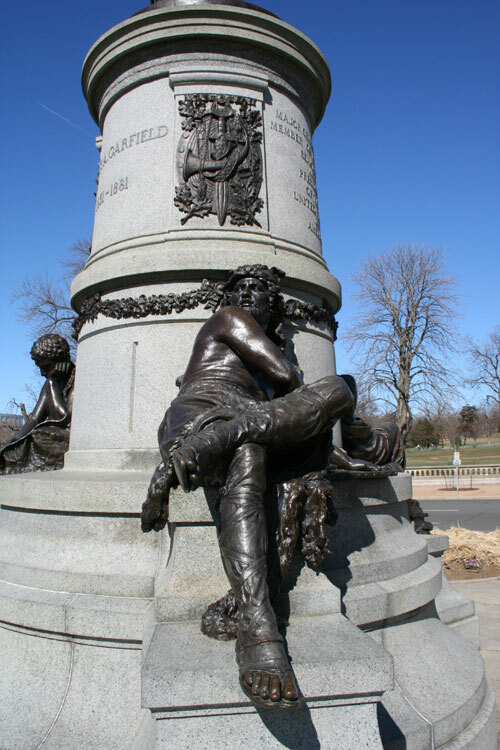 Ward was well-known and well-regarded and had completed the bronze memorial of General Thomas at 14th Street and Massachusetts Avenue. 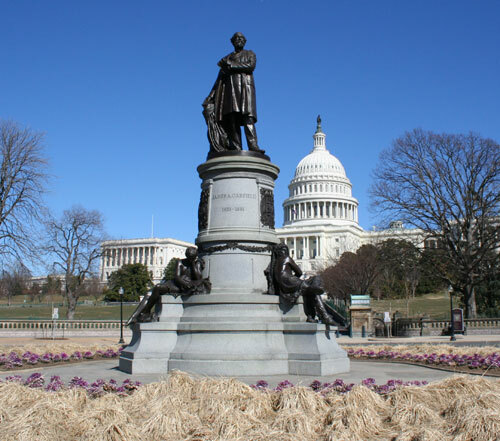 In 1884 a Congressional commission selected the site at the foot of the Capitol grounds at the intersection of 1st Street and Maryland Avenue, SW. The original concept for Garfield’s statue was that “He will hold the Bible in his hand and have his face turned slightly upward as he take the obligation”. 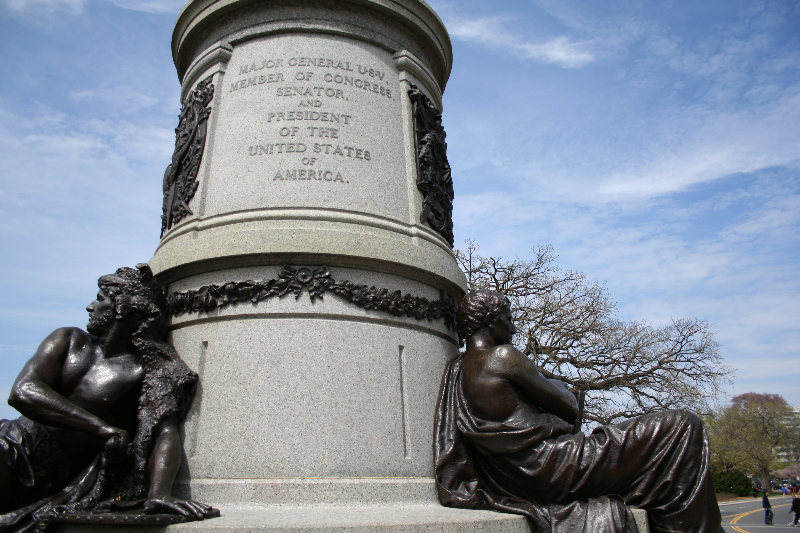 The unveiling took place on May 12, 1887, coinciding with the meeting of the Society of the Army of Cumberland. On that day a procession was gathered and proceeded from the Arlington Hotel at 12noon, and led by Gen. Baird to the statue. The unveiling ceremony began at 1pm with an opening prayer, the Marine Band played “The Star Spangled Banner”, and then the flag was pulled off the statue as the “crowd cheered, [and] the Marine Band struck up “Hail to the Chief”. This was followed by a national salute of thirty-eight guns fired from a battery which had been placed on Capitol Hill for the purpose. 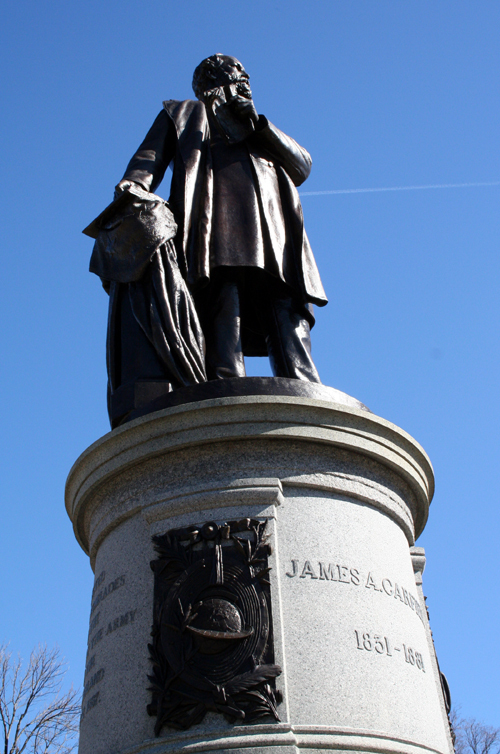 President Cleveland accepted the statue and gave a speech after which the band played “Hail, Columbia”, and Rev. F.D. Power have the benediction. In subsequent years the area of the statue saw many near collisions as it was a highly trafficked area and a streetcar used to run up 1st Street. In 1959 Congressman Whitener of North Carolina brought a bill to Congress to move the statue after a near collision with a streetcar close-by the statue. The bill did not pass.